Oh, boy, have I got a video for you! You don't want to think this is cute and funny. But it's cute. And it's funny. 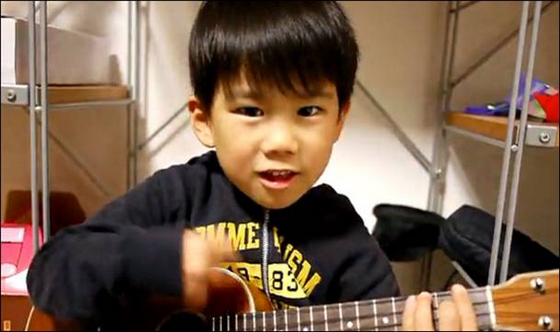 A young Asian boy strums Jason Mraz's "I'm Yours" on a ukulele, while mumbling a smattering of lyrics and making adorable facial expressions.